Come and experience the ambiance, culture, cuisine, and of course beer. 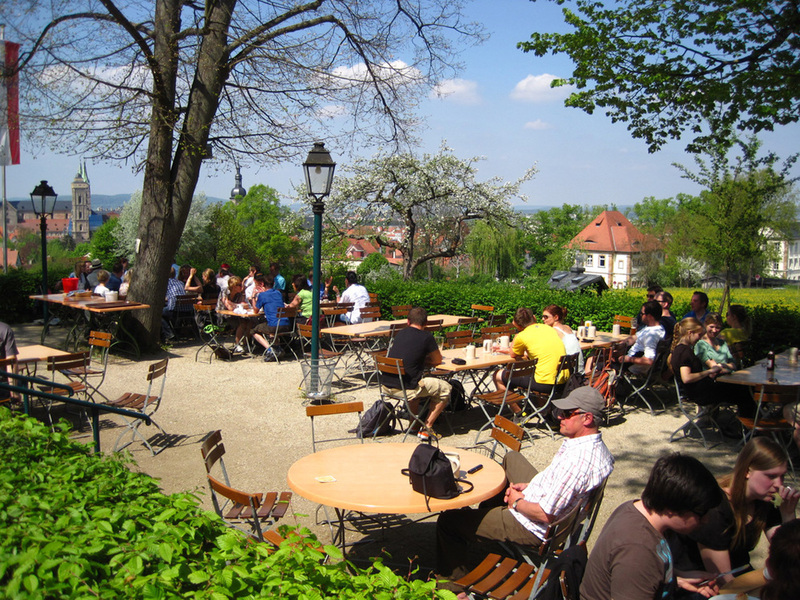 In Bamberg and the Franconia region, they call beer gardens beer kellers because many of these forested hillside beer gardens traditionally were (and are) on top the underground cellars where they lagered the beer. Sometimes people will refer to going “on” the beer keller, rather than “to” the beer keller, which when you know the backstory makes sense. Welcome to the Spring Beer Garden Tour of Bamberg. During this tour the emphasis is on experiencing the ambiance, culture, cuisine, and of course beers, of these famous outdoor kellers. Locals call it kellering. Keller season, aka Kellerzeit, typically runs from sometime in March to sometime in October, depending on the weather and global warming. During this tour you will get a great cross section of the traditional beers from this region. While we keep a pretty busy itinerary, you will also have plenty of unstructured time to explore on your own, hike, ride your bike, shop, take photos, visit more beer gardens, etc. One of the goals of this tour is give you an idea of what it is to be a local. We stay in the same hotel all week. We don’t spend precious time relocating. Instead, you can spread out, unpack, get to know the neighborhood and expand your knowledge and comfort zone of the city and region each day. Simply put, we spend more time doing and being rather than driving great distances. Rental bikes are included in the tour for the whole week for those of you who wish to ride. For others, ground transportation is provided. Three days include organized rides to breweries. The other days, we will all be mostly on four wheels. This itinerary serves as only a rough guide of where we will go each day. I reserve the right to switch things around to take advantage of good weather to be outside in beer kellers, avoid known rain days, and visit special beer events as they may arise. Get ready for a great tour! Mon., June 5 • Bamberg Today is a big day and it involves the most driving we’ll do on this tour. This morning we day trip to a different Kreuzberg (1 ½ hrs. drive one way) and the Klosterbrau Brewery and Monastery, located in the Rhöne Mountain range, where we will have lunch and beers. On the way back we will visit Göller Brewery in Zeil Am Main. Tues., June 6 • Bamberg Morning is free to explore Bamberg on your own. This afternoon we do some blitzing, as I call it, to visit Hartmann Brewery in Würgau on the north edge of the Fränkisch Schwiez (Franconian Switzerland). In the afternoon, we will visit Zum Goldenen Adler Brewery in Höfen. The evening is free to explore Bamberg and dinner is on your own. As a suggestion, visit the beer garden at Greifenklau Brewery and keller with a nice view of a valley and part of the city. Another option is Klosterbräu Brewery, which traditionally releases its famous Maibock on May 1. This is a pale bock with more than 7% alcohol. 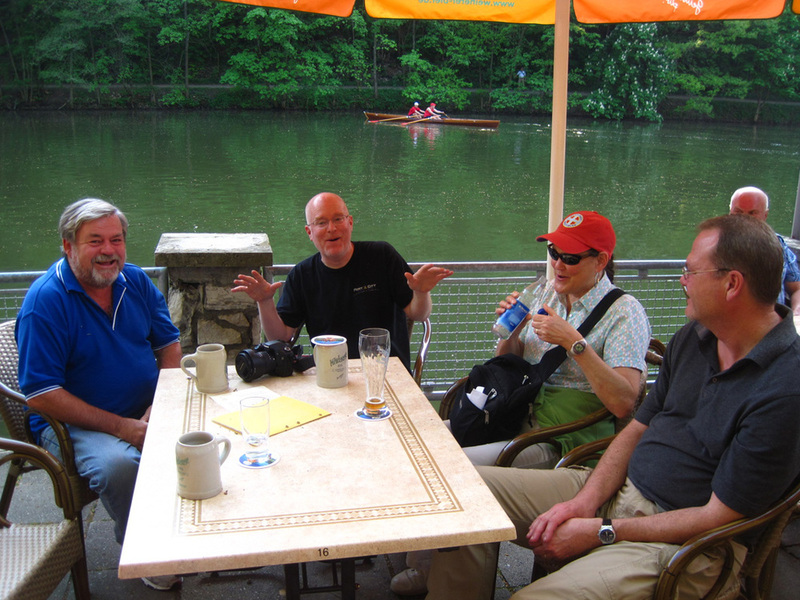 Thur., June 8 • Bamberg Breakfast concludes this amazing tour of Bamberg and Franconia. Let’s all take great memories, photos and beers home with us until next time!